Staring into your garage, you might wonder how you should start as Christmas approaches and you brace for even MORE clutter. Try this quick and easy “2 for 1 Rule” – for each gift you receive, get rid of two similar items. For example, if you receive a new mug set, then clear out some old mugs! Or, perhaps you receive boxes of gifts or mailing boxes via the post. Try the “Box for a Box” challenge. For each box you receive, fill that same box with items you no longer need and give them to charity, helping others in need. You’ll feel great and can enjoy your new gifts, without feeling that you are adding more clutter into your home. As for your garage – whilst you are decluttering and cleaning up, why not aim for a long-term ‘clean and clear’ solution by installing a new floor for a fresh look? You might think there’s not much you can do with the garage, but the old dusty concrete floor can be revived into something appealing and bright, which stays clean all-year-round! The solution is Nulook’s Epoxy Flake Flooring, which gives you a seamless floor and transforms your garage into a space that is bright, easy to clean, does not harbour bacteria (no grout lines or cracks) and is moisture resistant. Storage boxes and tools can be stacked and easily seen, without all the clutter. 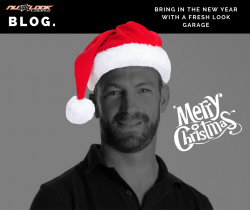 Welcome in the New Year with a fresh look garage, feel great and enjoy this holiday season, clutter free! NuLook Floors are specialists in professional epoxy flooring surfaces and we can give you a head start on your de-clutter project. We will transform your garage into an inviting space, and with over 13 decorative Epoxy patterns to choose from, your NuLook floor will most certainly put you in the festive mood. Contact Nulook Floors today and let our team of flooring experts help you get ready for a fresh New Year! Have you ever walked into your garage and just felt uncomfortable? Are you an allergy sufferer and find that your sinuses just can’t seem to agree with the garage area? Perhaps you think there’s not much you can do – after all, the garage is that gloomy, dank room, right? Well, it doesn’t have to be! 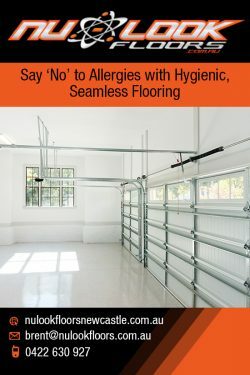 Most people aren’t aware that the typical garage floor is a potential trap for many allergens. Concrete is actually porous and can absorb spills, causing unpleasant odours, and can even be a breeding ground for mould due to the moisture. Also if you have pets; animal dander can easily trap in cracks and fissures. You may be finding it strangely difficult to clean the garage floor. One day you sweep the floor, removing the dust – only to come back the next day to find it looks dusty and feels gritty under foot. This issue of concrete dusting is actually quite common, and is caused by disintegration or breaking down of the top layer of concrete over time. Cars, foot traffic, and even your attempts at cleaning can worsen the problem. Concrete dust is not only bad news for allergy sufferers, it is harmful to your overall health. With the arrival of Spring, the garage is a great place to start a ‘spring clean.’ Whilst you can’t do much about flowers and pollen, you certainly need not suffer allergies in your garage! The solution is surprisingly simple: Epoxy Flooring. This type of flooring is easily installed, cost effective, easy to maintain, and extremely hygienic as it is completely sealed and seamless. Dust, dirt, pet dander, and mould will have no place to hide. Spills can be wiped off without being absorbed, preventing odours and mildew. An added benefit of an Epoxy Floor is that it will significantly brighten up your garage. The once dark and drab room is transformed into a versatile area, an extra room or even a play space for children. With 13 decorative flake patterns to select from, there’s always a style that will suit your home. NuLook Floors are specialists in Decorative Flake Epoxy Flooring systems, and have a combined 50 years of professional flooring experience. Our team of professional installers will transform your garage into an allergy free area, so you can take a deep breath and enjoy a healthier living environment. Say “goodbye” to allergies and get the NuLook today! Outdoor home entertaining – Why you can’t beat it! Spring has finally arrived and the warmer days are here at last! It’s time to come out of hibernation and start planning your social life again. Australians love to entertain at home, however perhaps you feel the need to spruce things up a bit, and revamp your outdoor entertaining area – ready for the influx of summertime guests. 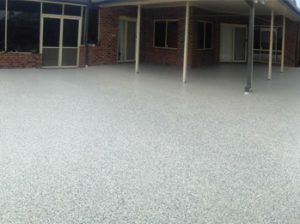 Epoxy flooring is a great way to transform your tired outdoor patio into a user-friendly area that not only looks impressive, but is functional and easy to maintain. A well designed floor area that transitions from the indoors to the outside also adds more living space to your home, providing an entertainment area that your guests will love. Plus, it’s a comfortable place where the family can hang out together and the kids can play – sheltered from the harsh sun or rain. Our slip resistant flooring and coatings come in a variety of finishes, from the very mild to coarser textures, and are installed according to your specific needs. We have 13 colours to choose from. ✔ Its non-porous surface is resistant to staining from food, drink and other spills. ✔ Easy to clean – no fuss when it comes to cleaning up – simply hose down, using a broom and your Nulook cleaner, then mop dry. ✔Durability – outdoor furniture won’t scratch when being dragged across the floor, due to the fact that epoxy is a material that is strong, resistant to degradation and one that bonds extremely well to concrete floors, making it perfect for even the most demanding areas of the home. ✔ Epoxy flake floors are anti-bacterial, therefore hygienic for your guests and family. Remember too, a pristine entertainment area is also a long-term investment, when it comes to adding value to your home. 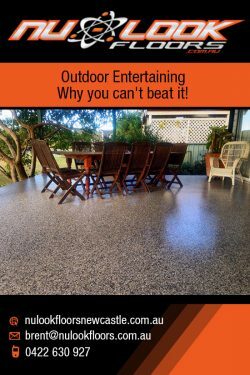 If your outdoor entertainment area is looking a bit worse for wear and needs sprucing up, give the Premium Epoxy Flooring Specialists a call today. Our team at Nulook Floors would love to help create a seamless decorative Epoxy floor finish to enhance your outdoor entertaining area. You simply can’t beat it! What’s the Difference between Polished Concrete and Epoxy Floors? 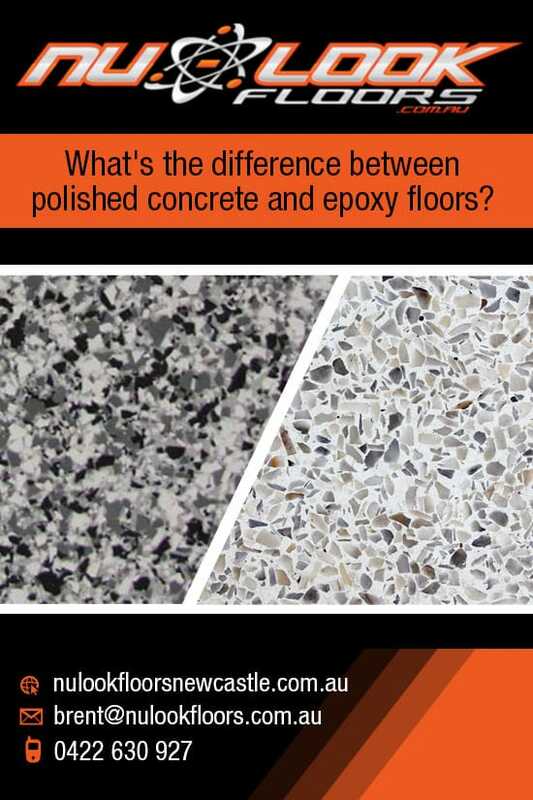 One of the most common questions we are often asked is – Are Epoxy Floors the same as polished concrete floors? The short answer is no! Whilst from a distance both types of floors can look rather similar and are concrete based, the method used to achieve the finish is not the same. So, how does the process differ and which one is a better flooring option? Let’s have a look at how polished concrete and epoxy flooring is actually carried out. Polished concrete is not a product that is simply installed. It is a process of grinding and polishing an individual concrete floor into progressively finer grits. Depending on the original surface conditions, how elaborate the decorative finish is to be – in terms of how much stone exposure will be visible, and the resulting gloss level required; the process can become rather lengthy, with many steps involved. Generally, it is very time and manpower intensive. Hence the high price tag that goes along with it. Epoxy Flooring is a much more efficient and increasingly popular way to achieve the same resulting decorative, hard-wearing, and low maintenance floor finish. 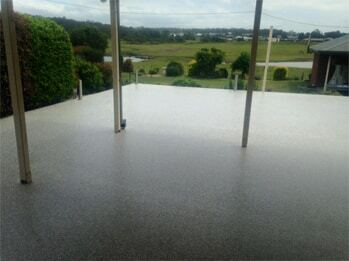 Epoxy flake flooring is highly versatile and can be easily installed on any concrete surface. Professionally installed Epoxy flake floors are not only durable, they are also water, oil and stain resistant, hygienic, and provide lustre and beauty in any room or location. The best thing is, you save money by paying almost half the price for the same floor! Here at NuLook Floors, we are experts in transforming your concrete floors into something amazing and beautiful with our unique Epoxy flake flooring system. Whilst polished concrete flooring works best with newly poured or flat floors, Epoxy flake flooring is timeless. In other words, it is ideal for varied surface conditions, concealing cracks and stains, and can revitalise your existing old, worn concrete floors. With over 12 patterns of flake flooring finishes to choose from, you can be assured that your desired style and character of your home will not be compromised. As you can see, Epoxy flooring is not only a better flooring option, but is also a far more affordable choice, that can be suited to your budget with equal or even superior quality! Why not add value to your home with a durable and beautiful floor by contacting us here at Nulook Floors Newcastle today on 0422 630 927. Previously we talked about why it’s important to call in the professionals when it comes to epoxy flooring. However, when it comes to deciding on a contractor, it’s important to do some research and look for someone who’s not only professional, but also reliable. We’ve all heard horror stories about unreliable tradesmen; those who show up late, or don’t turn up at all! Those that are slow to provide a quote, or give an unclear quote so that they can charge you more later on. And worse yet; the ones who don’t do the job correctly, leaving you with the headache of poor workmanship, or an unfinished floor, thus requiring more money to be spent to fix the problem. So how should you go about finding a reliable epoxy flooring expert? With an overabundance of businesses all claiming to be professional flooring experts, it can be a rather daunting task. Here we have some tips to help you recognise a professional and reliable flooring contractor. Firstly, ask for recommendations from friends and family. Often someone in your network can tell you whether they’ve had a good (or bad!) experience with a tradesman. Ask them what they did well and why they were happy with their service. Did they show up on time to quote? Did they present as professional and genuine? Is their quote clearly written with full contact details? Check their credentials – are they fully licensed, insured, and qualified? Are they members of a building association that adheres to high flooring standards and processes? Have they been in business for many years? Did they explain in detail the scope of works, and answer all your questions? There is great value in using a reliable flooring expert. Not only will the job be done promptly and professionally, you will also be saved from the stress of having to deal with potential issues relating to an improperly installed floor. Here at NuLook Floors, we are a family owned epoxy flooring business with over 50 years of experience. 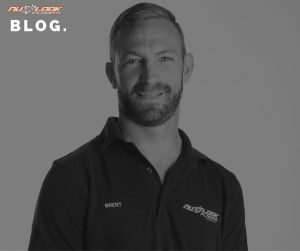 We have a team of passionate and professional technicians who deliver impeccable service, taking the utmost care in design and installation, backed by a 5-year guarantee. You can be rest assured that the work is performed professionally, on time, hassle-free, and as quoted, so no unpleasant surprises or awkward aftermaths to deal with. Why not give us a call to see how we can help you with your floor needs today!